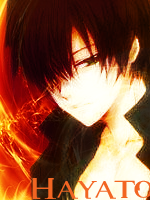 Hayato has black hair and green eyes with a soft face. He is 5'9 and weighs 140 pounds. He is all lean muscle. He usually wears the outfit above. Personality: Hayato is a very nice person who seems very serious looking when he is actually care free. He is only serious in certain aspects of his life. Hayato is usually smiling but when he gets into a fight he doesn't smile unless it is an easy fight. Hayato is nice but he is no pushover, he just hace a peaceful aura that makes him easy to like by people. He is also considered a genius. Hayato can be quiet and only gives respect he believes deserve it. When he meets new people, he tries to befriends with them depending on the aura he feels from them. Description: Hayato can bend fir but not as high as a symbol. He can create it, manipulate it, and so on. Description: Hayato was trained from his birth in intense training so he has superhuman strength, speed, senses, and reaction from all that training. Samurais usually have this trait but Hayato's is higher from his training. Description: Hayato is a master of most japanese and chinese kung fu and martial arts because of his quick intellect and adaption. History: His training from birth and quick intellect and adaption. 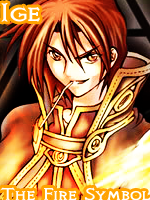 Description: Hayato is a master of many different styles of sword fighting. He is also ambidextrous and can switch hands as both of his arms have equal strength. 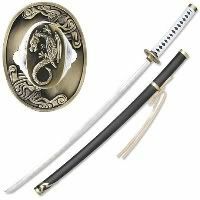 These Katanas go on the back of Hayato in a cross pattern. Secret Ability: These Katanas can both create fire out of their tips and edges. They are also some of the hardest and sharpest swords known to the world and very light. 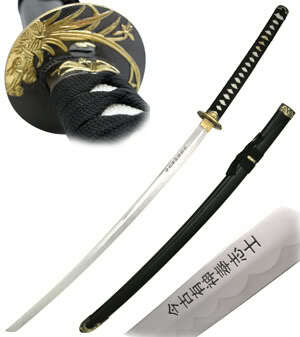 History: Hayato recieved these swords from his grandfather's friend as a present. The swords were made with the finest, strongest, and lightest steel. The swords are some of the strongest swords ever. Hayato was given these swords during his 15th birthday. Hayato keeps these swords by his side, as they are the most important things to him. They are the only things that give him a reminder of his dead grandfather. History: Hayato was born to one of the richest swordsman in all of Asia. Hayato was born to a family of the most famous swordsmen. His ancestors were of the greatest. Soon after Hayato was born, his family moved to China to get away from some of the adversaries that his family had created, as a result, he can speak both languages fluently. Hayato was an only child and glad of it as he had many friends. Hayato started training at the the time he could walk. Hayato learned many types of fighting and sword styles. As Hayato reached the age of 9, he was an excellent swordsmen and fighter, he was almost as good as his father. He trained night and day with tyhe most intense training. But at this age, many of his family's rivals attacked their home and destroyed it and everthing with it except their money,which he kept in the bank, and their weapons. His mother and father died trying to fight off the attackers but there were too many of them and died. Hayato watched them die and ran away to his grandfather's, who was an even better fighter and swordsmen than his father, shack. They thought he was dead. 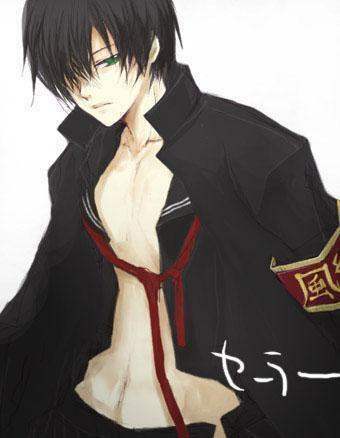 As Hayato stayed with his grandfather, he was taught and mastered most styles of fighting and swordmanship. Hayato trained night and day with even more intense training. As Hayato reached the age of 15, he got new swords, Yin and Yang. A month after his birthday, his grandfather died. He was completely saddened and burrowed hism in his family's graveyard all the way in Japan. Hayato lives alone and has his family's bank information and swords. The bank holds riches that can sustain someone for 3 lives. Though he has went through alot, he is still jolly and happy like he was when he was a child. He doesn't look for vengeance, just peace. Approved. Also Beware. I shall burn thee to a crisp if you use my fire for evil.